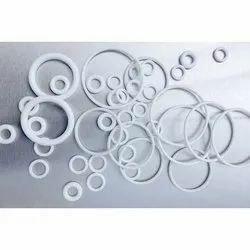 We are a leading Manufacturer of elastomer o rings, fep o rings, aflas rubber o rings, metric viton o rings, o rings and silicon o rings from Mumbai, India. According to the requirements of the customers, we are involved in offering best quality of Elastomer O Ring. 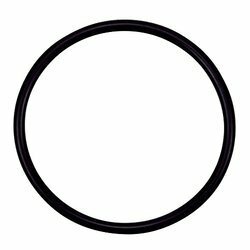 These Rubber O Rings are available in the market in bulk at most affordable rates. We manufactured these products in bulk by using high grade material and advance technology. 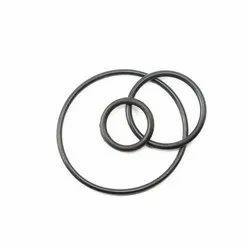 In addition to this, Rubber O Rings are extensively used in static applications or in dynamic applications and to assist assembly and prevent unnecessary stresses being placed upon the seals. Price Range :- The price may vary from 1 to 10 depending upon the requirements of clients. O-rings are one of the most common seals used in machine design because they are inexpensive, easy to make, reliable, and have simple mounting requirements. 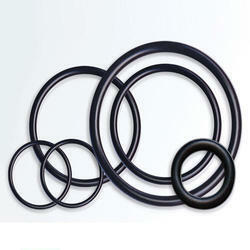 Being a leader in the industry, we are engaged in offering a qualitative range of Aflas Rubber O Rings to our clients. 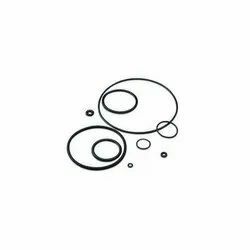 An Metric Viton O-rings are a sealing device in the shape of a torus designed to be seated in a groove and compressed during assembly between two or more parts, creating a seal at the interface. 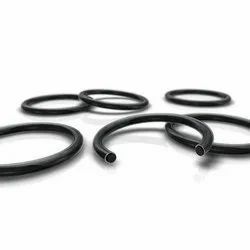 In simple words, it is a loop of elastomer with a circular cross-section.O-rings can be used in both static and dynamic applications. They are the most basic and effective seals ever invented as they are inexpensive, easy to make, reliable, and have simple mounting requirements.By choosing a compound and hardness it is usually possible to find a suitable O-ring for most applications ranging from generators, compressors, gas-springs, automobiles, pumps valves, actuators, hydraulic pneumatic cylinders, filters, lubricating systems to LPG regulators.We specialize in the manufacturing of Rubber O-rings from all types of Rubber Grades like Silicone, Viton®, EPDM, Nitrile, Neoprene, Natural others.MREW offers a wide array of metric sizes, in both standard and non-standard dimensions. If an O-ring with unique size or fluid resistance is required, MREW can customize the same specifically to your demanding requirements.Beyond the standard O-ring, MREW can supply more advanced sealing designs such as Quad Rings® specially designed for low pressure sealing.Still have questions about finding a standard or non-standard size? Feel free to contact us with your queries. Silicone O Rings manufactured by Amul polymers are excellent by quality and can withstand extreme (hot or cold) temperatures. It has outstanding flex and fatigue life. 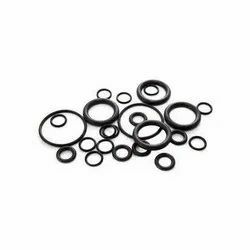 Our O-Rings are accurate to dimensions, meets industry standards and has zero defects. Made from top quality raw material, our Silicone O-rings are widely renowned in the market for their high level of strength. It is also known as Viton Rubber O Rings. Our O–Rings size varies from 2.0 mm ID 600 mm ID. We also manufacture O-Rings at customized dimensions as per client's requirements. Can withstand extreme low and high temperatures. We are offering PTFE Encapsulated O Rings to our client. We are offering Viton O Rings to our client.